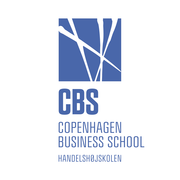 Centrally located in Copenhagen, the capital of Denmark, Copenhagen Business School (CBS) has grown to become the second largest business school in Europe with 20,000 students. With the distinctiveness of our diversity, Copenhagen Business School aims to become a leading business university with research – and teaching – excellence in classical management disciplines as well as in disciplines that place business in a wider social, political and cultural context. Digital Competition in Financial Services via Coursera 4 weeks long 4 weeks long 29th Apr, 2019 No reviews yet. FinTech and the Transformation in Financial Services via Coursera 4 weeks long 4 weeks long 29th Apr, 2019 No reviews yet. Innovation Strategy: Developing Your Fintech strategy via Coursera 4 weeks long 4 weeks long 29th Apr, 2019 No reviews yet. Strategic Management - Capstone Project via Coursera 6 weeks long 6 weeks long 20th May, 2019 No reviews yet.